Waking up surrounded by dead monsters is probably not a good thing. Waking up with no memory of how you got there, whether you killed the monsters or not, or who you are: much worse. Cal is stranded in a town he can’t remember with fake ID’s, knives and guns he doesn’t remember owning but knows how to use and with the knowledge that there is something missing in his life, only he has no idea what it is. Then it shows up in the form of an older brother (Niko) who he also doesn’t remember. Niko isn’t all that interested in staying so he kidnaps Cal and drags him back home to New York City where they slowly start to rebuild their life, while trying to find the Egyptian goddess (she’s not really a goddess she just calls herself one) that is killing supernatural being and is the one responsible for Cal losing his memories in the first place. This book doesn’t really add anything more to the series. It’s basically Cal complaining about how he can’t remember and feeling bad that he can’t remember and not really sure if he wants to remember…so on and so forth. The only difference is that he is less whiny and angry; that’s about it. Even the other storyline is practically non-existent. This book, like all the others, is all about Cal coming to terms with who and what he is. I’m seriously not that interested in it anymore. It was fine for the first two books, but six books of the same thing…it’s a little much. I am not sure it says anything good about an author that I am already mostly bored with her main point-of-view character after only 6 books. I mean it took me a lot more than 6 books before Alex Delaware started working my last nerve. 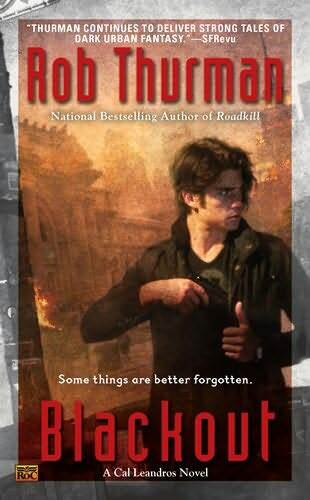 And it wasn’t just Cal in this book, I found a lot of the characters annoying: Niko, Robin, Ishiah and Delilah all bugged me throughout the book. The whole amnesia plot is just such a cliché; it’s been done so often. And the sad thing is, I’ve seen it done better in a lot of fanfiction. I am also sick of the majority of the plots revolving around Cal and his issues. If there had to be an amnesia plot, I wish it could have been Niko who got amnesia. In the end the book would have probably still revolved around Cal, but in a more interesting – at least to me – way. Cal has always thought that Niko sacrificed his life to protect Cal and maybe he would have viewed the amnesia as a way to see what Niko would have been like without the push to always protect Cal. And I would have found it more interesting seeing how amnesia Niko dealt with Promise and Robin than reading about Cal trying to stab his friends with a fork. I did appreciate the couple of lines here where I could actually see the friendship between Robin and Niko. In the past, I always felt we were told that they were friends, more than we actually saw it. To me, their relationship before seemed to consist of Robin flirting with Niko to make him uncomfortable, which to me seemed so stereotypical. I liked what we got in this book, if only in a couple of lines, that showed Robin caring about Niko in an actual friend way, which is why the book isn’t being graded a D.